When Ben Pingree sat down for an interview in 2016 as Leon County’s new director of PLACE — which oversees the newly created Office of Economic Vitality (OEV) — his fourth-floor downtown office overlooked a huge lot that was empty, weedy and unsightly. But he knew there were big plans for that city block and that a huge, 19-story mixed-use project was “going to be rising like a phoenix” and block his view. Today, the view is still there, but dirt is being pushed and foundations are being laid for a $90 million project that will include a Lowe’s hotel, condos and restaurants. It is expected to employ 1,094 people during construction and 703 when completed. Other projects, big and small, are sprouting throughout the community — another apartment/entertainment complex just a few blocks away, a new-concept Greenwise Publix store near the campuses of FSU and FAMU, a modern apartment complex in Frenchtown. The story in many ways parallels Tallahassee’s economic progress and the work of the OEV over its first two years — it takes a while, but when the community’s movers and shakers break out of their silos and work together for the common goal of improving the area’s economic health, big things can happen. “We are a medium-sized community in a highly competitive field of attracting and retaining jobs, (and) we are at our best and we will be most successful only if we collaborate together,” Pingree said. At a recent workshop, the OEV touted its accomplishments with a long list of activities and some hard facts, including 100 business consultations, four leads generated, three expansions and two recruitments, which led to 173 jobs and $18.3 million in capital investment. With a serendipitous convergence of circumstances, the functions of today’s OEV are a complete departure from how economic development was handled in the past. In the early 2000s, economic development was based in the local chamber of commerce and, without a consistent source of funding and years of recession, their efforts were lackluster. The recession put a full stop to expansions and the group ultimately disbanded. In 2014, local voters were being asked to continue the collection of a penny sales tax to fund infrastructure projects. Around the same time, the Florida Legislature approved a change allowing that money to be used for economic development. Tallahassee/Leon County took advantage, setting aside 12 percent of the tax revenues for that purpose — to total an estimated $90 million over 20 years. That funding won’t start until 2020 — the city and county will support the OEV until then — but the new department is running full speed ahead, putting programs into place, planning for the future and always trying to make the area attractive to businesses to relocate and grow. 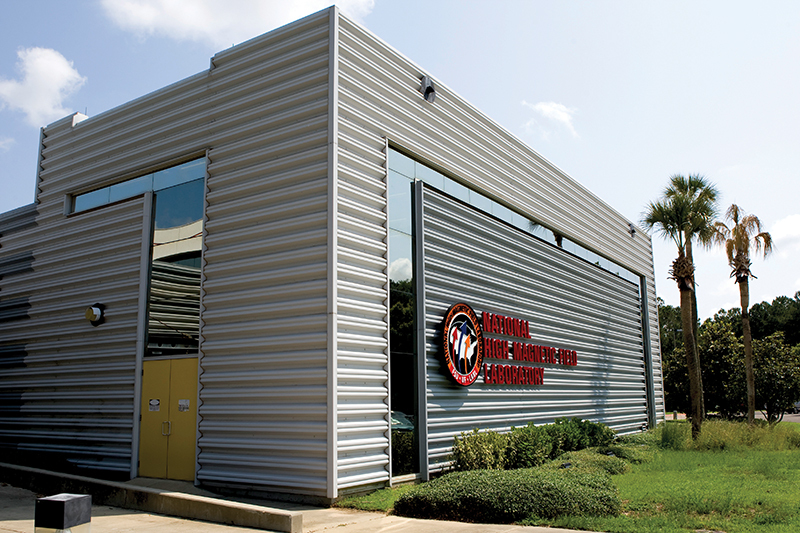 One of its most ambitious efforts is to put Tallahassee on the map as the “magnetics capital of the world,” declared Pingree. The department recently hired a staff person specifically tasked with attracting such businesses as well as hiring an economic development consultant specializing in tying research to industry. To aid in these efforts, the OEV joined with other entities to secure funding to construct a proposed 40,000-square-foot high-tech incubator located near the MagLab. In addition to offices for startups, the plans for the facility include wet labs, a tissue and bioculture room, engineering/light manufacturing spaces and a lab for prototype development. After just a year in existence, the OEV, in the fall of 2017, spent a frantic two weeks in pulling together a pitch for Tallahassee to be selected as the spot for Amazon to build its “HQ2,” which the company estimates would cost $5 billion and bring 50,000 “high-paying” jobs to the selected city. While the proposal was a “moonshot” and Tallahassee ultimately didn’t make the cut, officials insist the exercise was sincere and not a waste of time. When large corporations like Amazon seek to move or establish operations in a new city, they often hire specialized economic development consultants to help them navigate incentives. “We were sending a message to the economic development marketplace — including those firms that do this for a living for megacorporations all around the world — that we are in the game,” Pingree said. So much so that, although Amazon didn’t pick Tallahassee, the company’s economic development director called the office to ask for an additional briefing. Not all of the OEV’s efforts are focused on attracting new business. A large part of their efforts include “growing our own,” says Leon County Manager Vince Long. “We know 90-plus percent of businesses that are expanding or creating jobs are doing so where they are. Moving anywhere else is not an option,” he explained.